We have t-shirts! Donate $25 to A4E and get one of your very own. 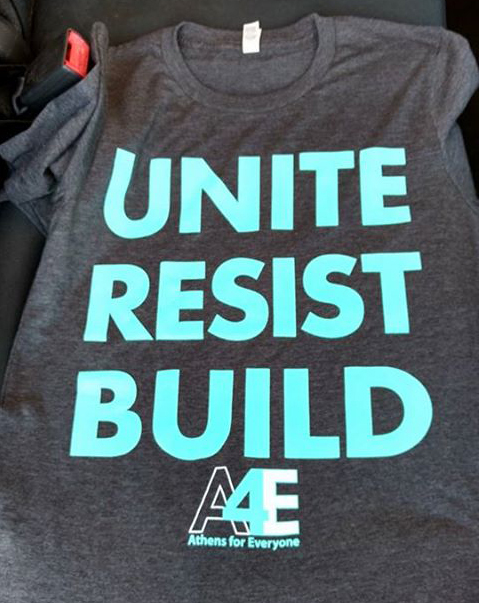 Email us at contact@athensforeveryone.com with your t-shirt size we'll get one to you. Unfortunately, we are out of size L.